The history of Portugal’s most popular canned food brand, Bom Petisco, is as special as its tuna. The origins of the national canned fish industry go back to the 19th Century, when the fishing and canning industries came together in Vila Real de Santo António. It was here that, for over a century, fishing for tuna was concentrated, resulting in canned fish that fed thousands of people around the world. As the industry grew, demand also grew, and, gradually, canned tuna became a staple for many families. The growth was such that, by the end of the 20st century, the Algarvian coast began to show signs of over-exploitation. 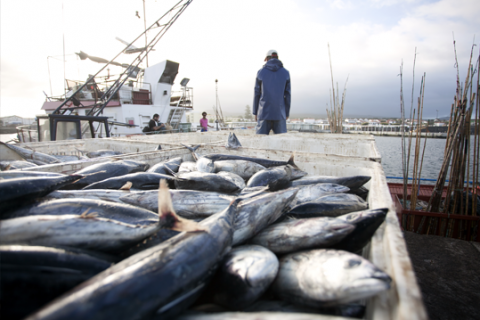 At the same time, migratory routes for tuna were beginning to change. In light of this situation, the canning industry began to seek alternatives, and it was in this way that, in 1962, Bom Petisco acquired its Azorean DNA. Being a favoured point of transit for many marine animals in migration, with its cold waters and fish of unparalleled quality, the Azores islands were chosen for the building of the company’s two factories. 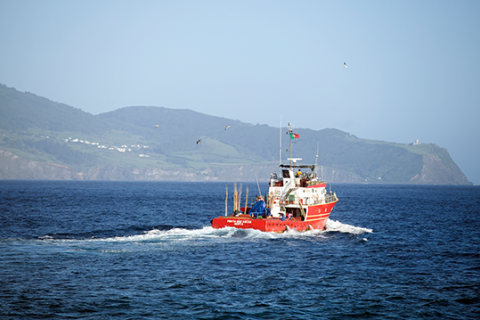 Today, we pride ourselves in being able to say that part of our production is guaranteed with fresh fish from the Azores. On the islands of São Miguel and Pico, the production of Bom Petisco has a history which is over 50 years old. 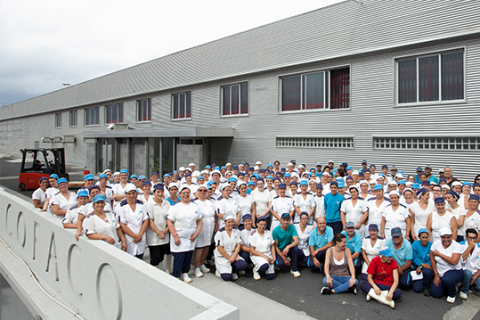 This is the story written by the hands of our employees, who, every day, prepare the fish, to make the best petisco* available to all – our tuna. It is thanks to them that every can contains a guarantee of Azorean tradition – unbeatable fish, prepared following the recipe passed through generations. There are several types of tuna that inhabit the cold waters of the Atlantic Ocean. 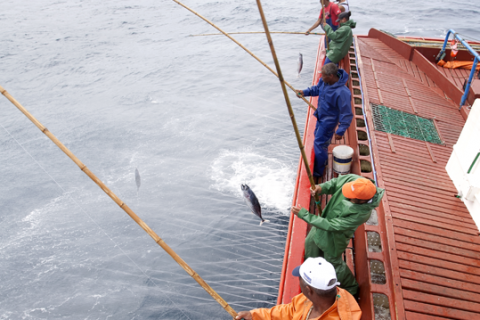 Amongst them, the Skipjack tuna (Katsuwonus pelamis) is favoured by Bom Petisco. A great swimmer, tuna stands out for its elongated and fusiform body. The ancient Greeks called tuna thynō, which means “to rush”, because of its speed. Today, we know that some species of tuna can reach speeds of 70km/h and can travel up to 170km a day, always in schools of fish. Even more than whales! However, it is not just their physiology that is worth highlighting: with a highly efficient metabolism, tuna is able to maintain a high body temperature. Because of this, they have amazing physical strength and are able to survive in very cold waters with great resistance. Owing to the temperature of its waters and its volcanic origins, The Azores is a favoured spot for tuna reproduction and is a point of transit on their migratory path. At certain places and certain times of the year, it is possible to see big schools of fish that pass through the Azores on their migratory path. 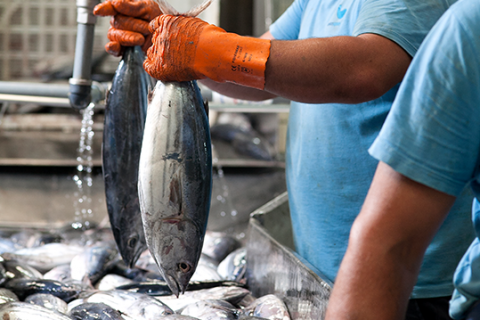 Once it’s been fished, the tuna is transported to the Bom Petisco factories. Here, it is cut and prepared by hand, before being cooked. Next, it is preserved in vegetable oil, olive oil or water, to then be submitted to a process of sterilization. Without the use of any preservatives, the result is 100% natural canned fish, highly nutritious and with a flavour that lasts over time. 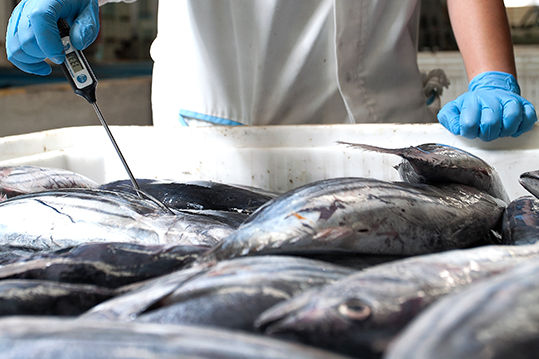 Because sustainability in fishing is important at Bom Petisco, fishing in the Azores is regulated by strict criteria for the protection of the marine ecosystem. 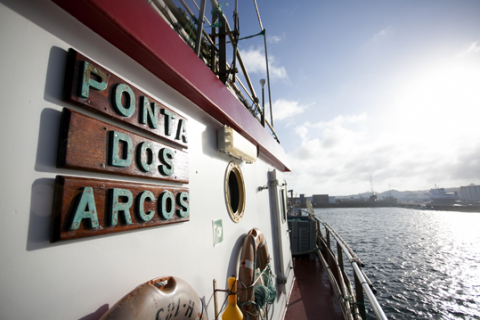 Fishing takes place in collaboration with the POPA – the Azores fishery observation programme – a project for monitoring and controlling fishing. The aim is to ensure that no dolphin is harmed by our fishing activity. The protection of dolphins and sustainability of the sea are guaranteed by the “Friend of the Sea” status, which aims to reduce the human impact on the marine ecosystem.